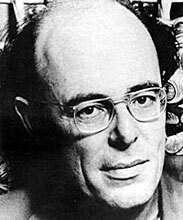 Marcel Ophuls was born on November 1, 1927 in Frankfurt, Germany. Having become a French citizen in 1938, his father, filmmaker Max Ophuls, left France with his family during the Occupation to escape Nazi persecution. That is why Marcel Ophuls spent a portion of his formative years in the United States and in Hollywood. Having returned to finish his studies at the Sorbonne, he quickly took the long route to the Champs-Elysées, abandoning philosophy to become a film assistant in the fifties. John Huston, Julien Duvivier, and lastly his father — for the filming of LOLA MONTES, were among his bosses. Passing up staging in favor of New Wave, he directed several fiction films, including PEAU DE BANANE, with Jeanne Moreau and Jean-Paul Belmondo in 1963. His most famous film however is the documentary, THE SORROW AND THE PITY, which received world-wide acclaim. Having left to go work in Germany and the United States following the ORTF [French Television and Broadcasting Office] strike in 1968, Marcel Ophuls directed abroad a film on North Ireland, A SENSE OF LOSS, a five-hour film on the Nuremberg trials, THE MEMORY OF JUSTICE and a dozen other reports and dramas, from SACHA GUITRY to GOETHE, for several foreign television stations. He also taught film at Princeton University.